Residing in her hometown of San Luis Obispo, Karen Grubb, brings her dreamy California living straight to our Instagram feed. With photos full of nature’s wonders, it’s easy to see why we chose her for our first ever Worldwide Wanderer trip. 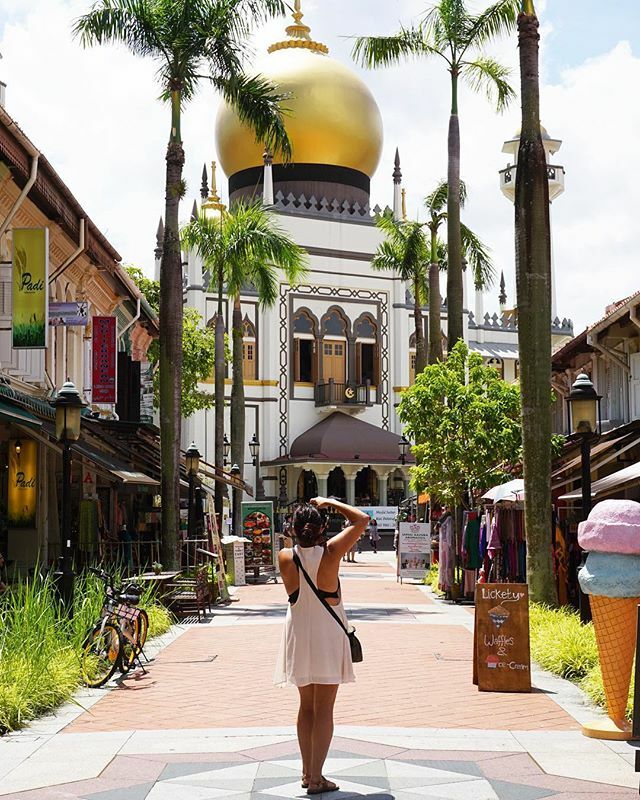 Thanks to our partners over at Singapore Air, she just returned from an Instagram takeover in Lion City. Get ready for your next international adventure when you use your miles to travel with one of our many worldwide airline partners. 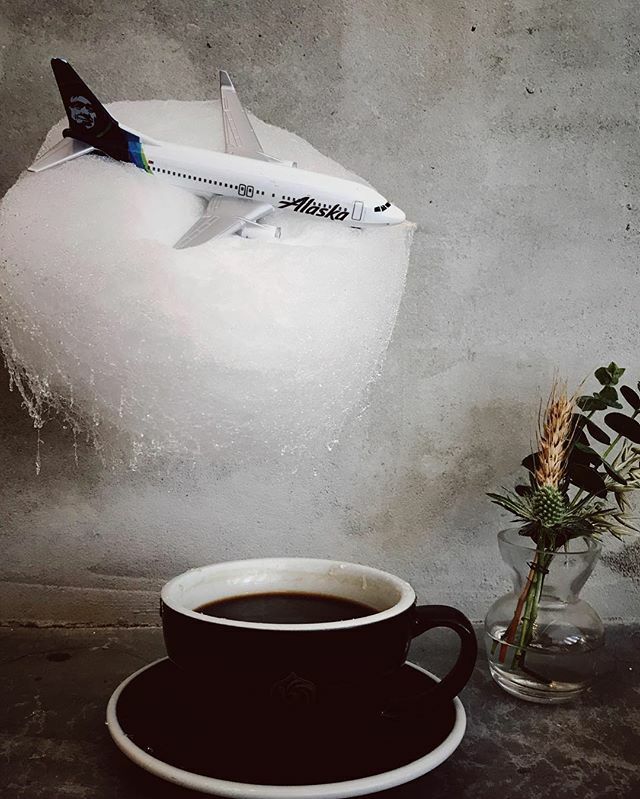 For more Wanderer posts to inspire your wanderlust, be sure to follow Alaska Airlines on Instagram. The excitement of discovering new places and first-time experiences is a big part of my love for international travel. 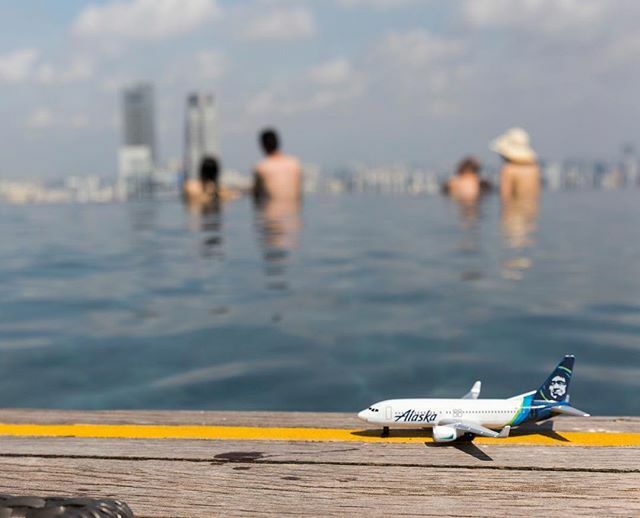 Therefore, I was thrilled by the invitation to join Alaska Airlines and their newest global airline partner, Singapore Airlines, on a Worldwide Wanderer adventure down to Southeast Asia. From start to finish, the experience of visiting Singapore for the first time tops my list of favorite travel memories to date. 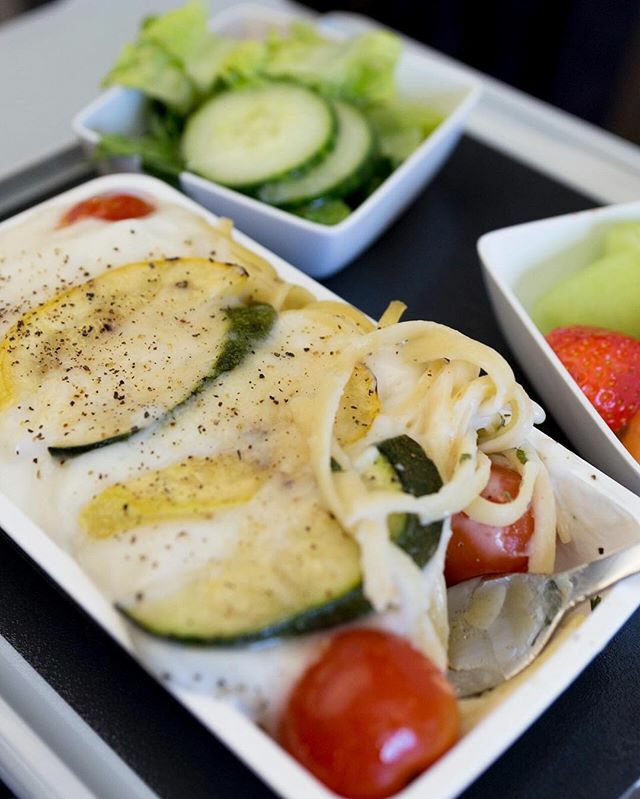 ”A restaurant setting, a world class dish…” Enjoying the @singaporeair Book the Cook service that offers a wide variety of pre-ordered delicious menu options. Singapore is a vibrant city-state, culturally diverse, and rich in history with an endless offering of tourist attractions. Despite spending a week in this world-class city, I left feeling as though I had barely scratched the surface of getting to know this beautiful little island. Whether you are headed there for a week, or just a few days, here are some recommendations of places to visit around Singapore. A prominent architectural feature in downtown Singapore, this integrated resort is home to a casino, mall and several theaters. Perched across the top of the three hotel towers is the SkySands Park, a collection of top notch restaurants, a nightclub, and of course, the legendary infinity pool in the sky with one of the best views of Singapore. Be sure to visit the ArtScience Museum to experience the magical interactive installations at the Future World exhibit. Dream a little dream. Exploring the Marina Bay Promenade, Singapore’s stylish and trendy new downtown area and home to a slew of impressive architectural icons. Marina Bay Sands, one of the coolest hotels I have been to. 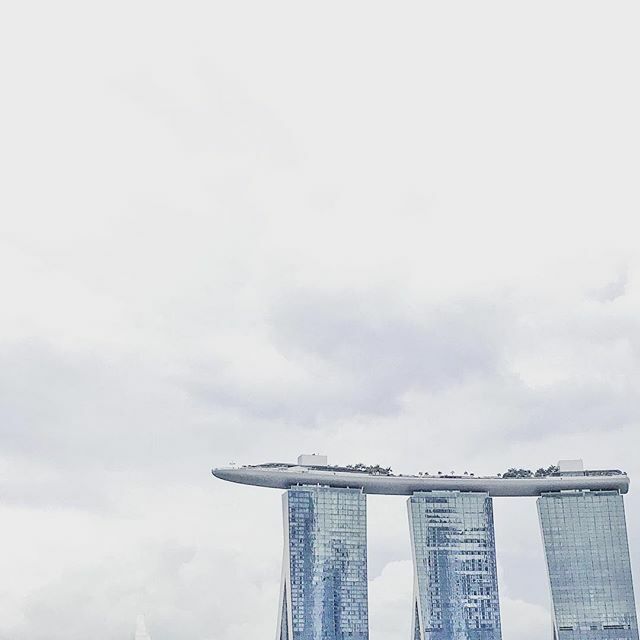 Perched on top of the 3 hotel towers is the Sands SkyPark, a collection of restaurants, a nightclub, and of course, the legendary infinity pool with one of the best views of Singapore. First stop in Singapore, a dip in the rooftop infinity pool at Marina Bay Sands. ​At the center of the universe. 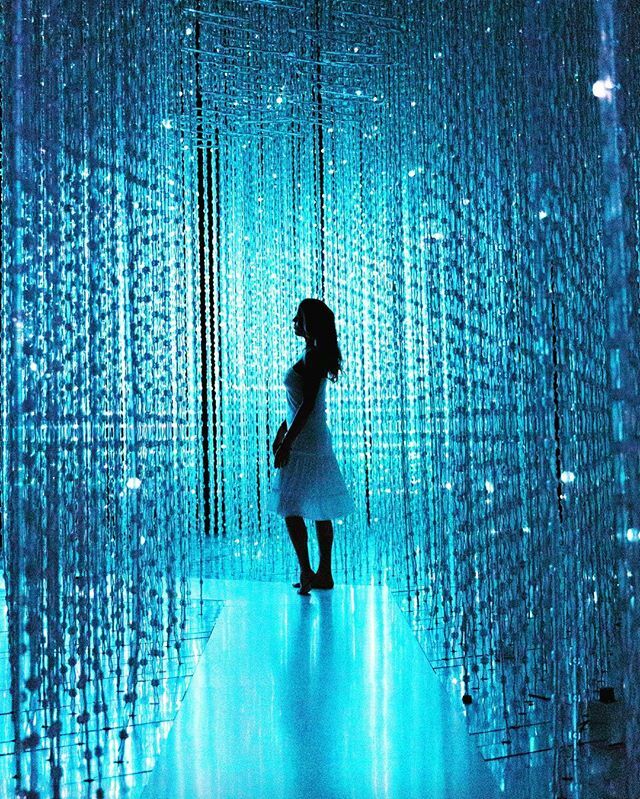 The ArtScience Museum’s Future World Crystal Universe interactive display is an elaborate light and music show with 170,000 LED lights that respond to visitors’ motion. Gardens by the Bay is a sprawling 101-acre botanic garden for nature lovers. Onsite are two biodomes full of lush greenery: Flower Dome and my favorite, Cloud Forest Dome, a 35-meter tall, lush mountain complete with several waterfalls. 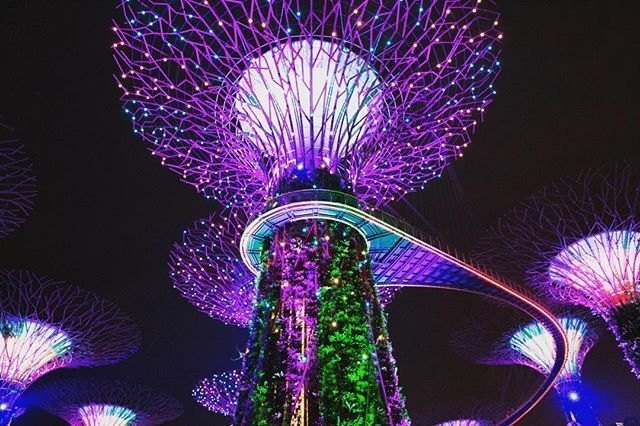 At night, Gardens by the Bay comes alive with a free light and music show displayed on the Garden’s 16-story tall Supertrees. 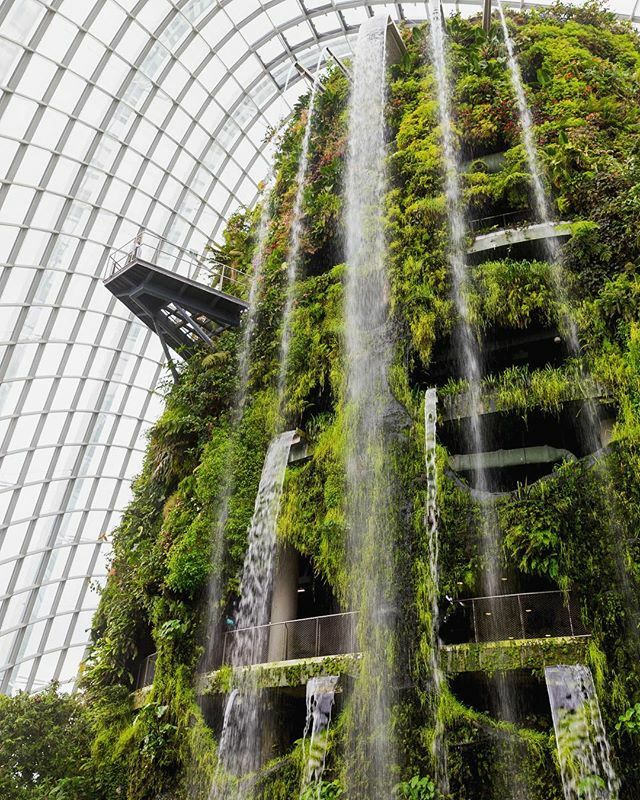 Cloud Forest, an impressive collection of tropical flora right in the middle of the bustling city. It took every ounce of willpower not to play under this waterfall. Getting lost in the Garden Rhapsody, a nightly light show set to music on the Gardens by the Bay Supertrees. One of the most colorful areas in Singapore with a slightly grittier feel than the rest of the city, Little India is a bustling neighborhood full of countless places to shop for Indian wares and dine on Indian cuisine. According to their menu, Khansama is “Probably the Best North Indian Restaurant” and I would have to agree. Pop in for a delicious authentic North Indian meal. 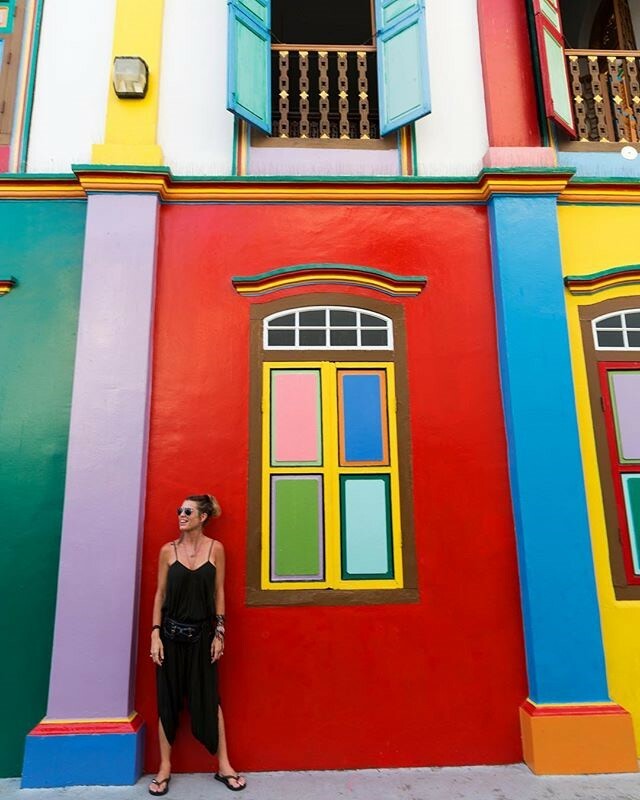 While wandering through the sides streets, be sure to stop for photos at the rainbow-colored Tan Teng House. The rainbow house of Tan Teng Niah, one of Singapore’s most colorful attractions located in the heart of Little India. With the visually stunning Sultan Mosque (Masjid Sultan) as its centerpiece, the area of Kampong Glam is a vibrant mix of rich history and modern day trends. Bussorah Street is packed full of handicraft shops and delicious Mediterranean restaurants. Take a stroll down Haji Lane, chock full of trendy boutiques and hip cafes and bars. One of my favorite shops in this area is Sifr Aromatics, a third-generation perfumery full of hundreds of individual natural oils, where you can have your own custom fragrance made onsite. Wandering through the vibrant streets of Kampong Glam, the Muslim center of Singapore. This bustling neighborhood is full of trendy bars, boutique shops, and a variety of great Middle Eastern eateries. Once home to opium dens and brothels, the narrow streets of Chinatown, lined with markets and shop houses, still retain an old-world feel somehow untouched by the surrounding urbanization of the city. Wander the streets to marvel at the beautiful architecture and cultural diversity apparent in the neighboring Muslim mosques and Buddhist/Hindu/Taoist temples. A main attraction in Chinatown, the Buddha Tooth Relic Temple and Museum is home to a stupa made from 320 kilograms of gold that holds what is believed by some to be the left canine tooth of Buddha. 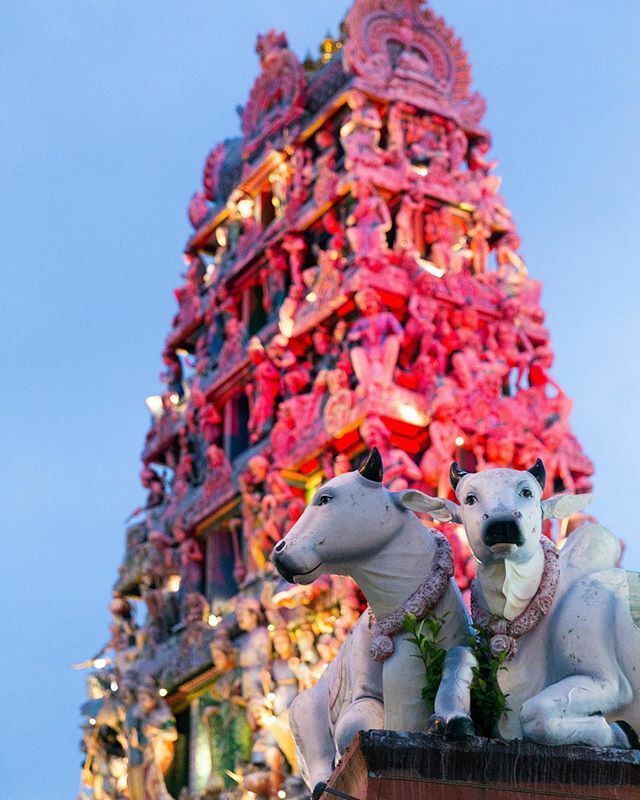 Sri Mariamman Temple – the oldest Hindu temple in Singapore. 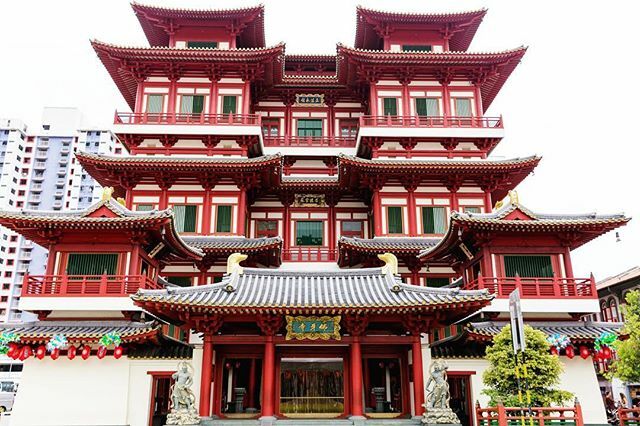 A testament to Singapore’s cultural diversity, this temple is located along the same short stretch of road as the Buddha Tooth Relic Temple and the Jamae Mosque. 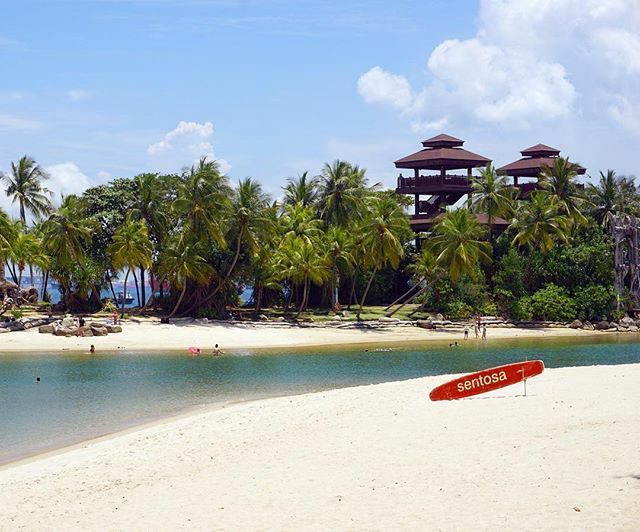 This man-made island resort offers some of Singapore’s best beaches, and plenty of fun attractions including zip-lining, a wave pool, skyline luge, an aquarium where you can swim with sharks, and Universal Studios Singapore. Playtime in Sentosa, a manmade island resort home to the best beaches in Singapore and full of plenty of fun attractions including ziplining, a wave pool, skyline luge, and Universal Studios Singapore. @mrsgrubby signing off. I had a blast sharing my #WorldwideWanderer adventures down in Singapore with you! 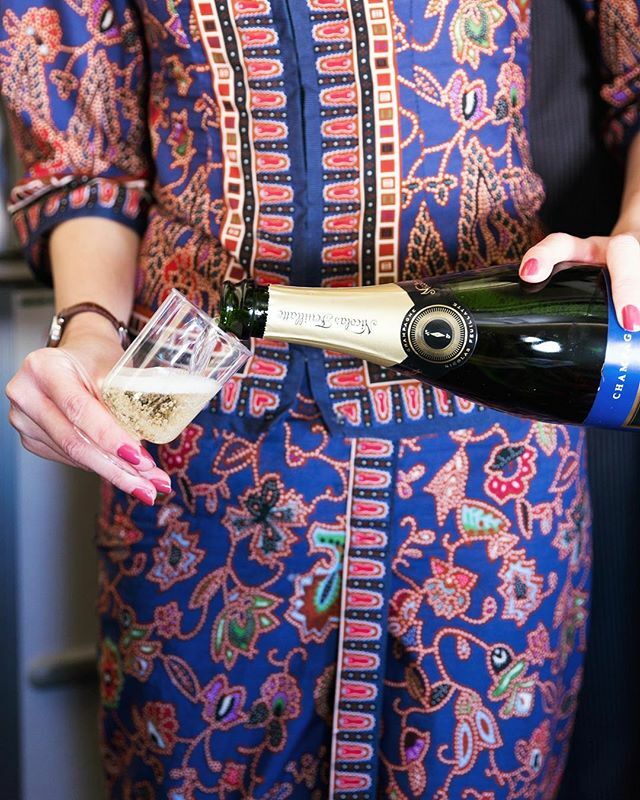 Cheers to @singaporeair and @alaskaair! 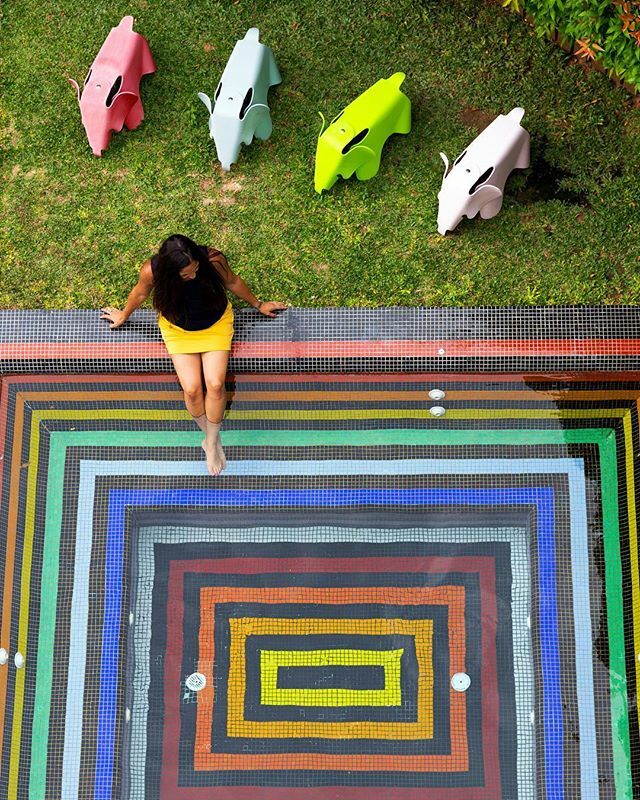 927 windows painted in the colors of the rainbow. 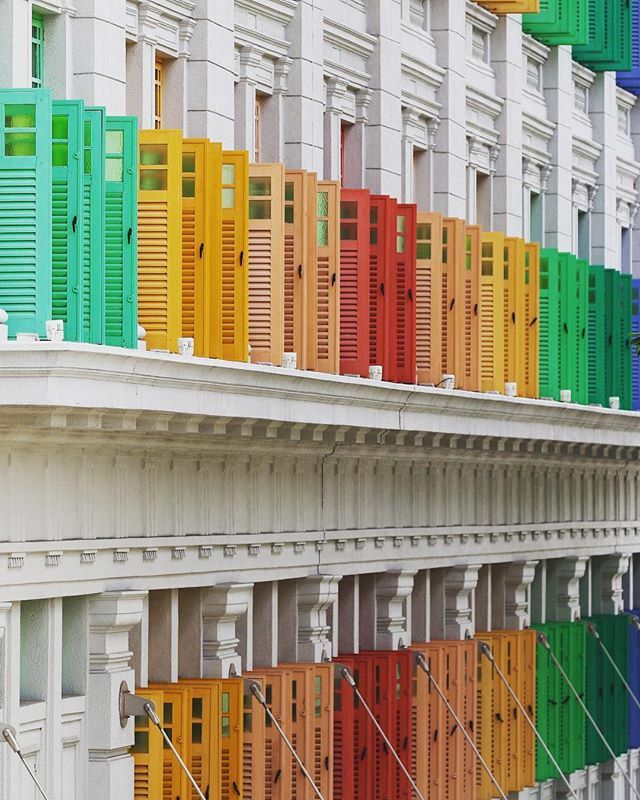 The technicolor shutters of Singapore’s Old Hill Street Police Station. Cloudy with a chance of Sweet Little Rain. Hand-crafted cotton candy is suspended over a hot cup of Americano. As the steam rises, it melts the “cloud” and sugar droplets fall into the coffee. One of the many creative concoctions we’ve enjoyed in Singapore. 1 comment on "Worldwide Wanderer with Singapore Air"
Great Post on Singapore! Personal wishlist: Alaska Airlines nonstop service Charlotte, NC to Seattle, interlining with Singapore Air!